Keep a permanent record of all your contacts, whether it's with your friends nearby or with DX stations around the world. As well as being essential for confirming that contacts took place when you get QSL cards, it's great to keep a log to look back through and remind you of all the good times on the air. 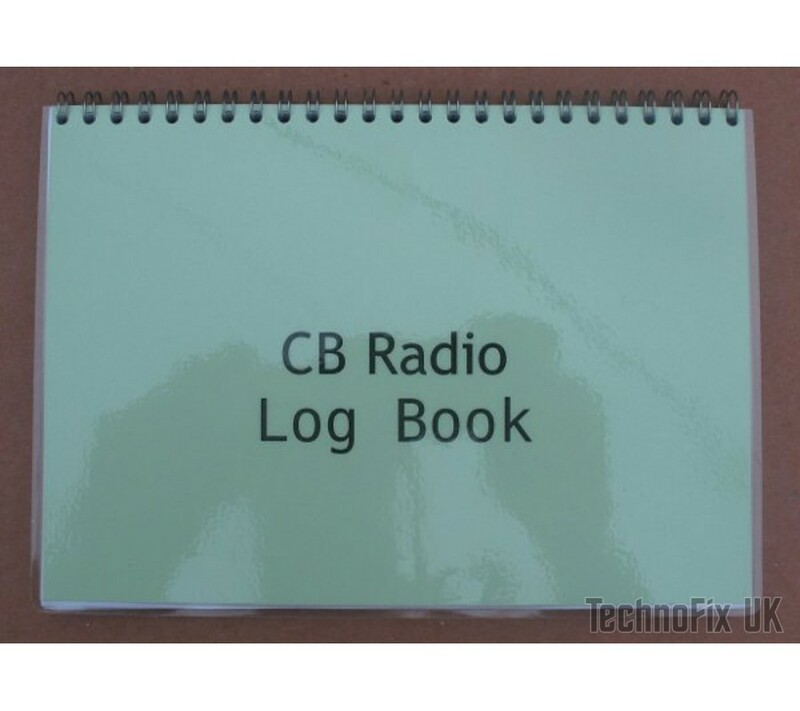 This compact log book has been designed for maximum convenience. It is A5 landscape size (approx. 210mm x 160mm, 8 1/2" x 6 1/4") and is wire-bound so that it lies completely flat when open. In the shack it is a real boon where desk space is at a premium. Keep one in the glove box of the car - there's nothing worse than stumbling across some rare DX while out mobile and not having any record of the contact. 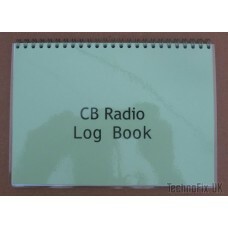 Ideal for taking out portable - no more loose log sheets getting lost or blowing away on a windy hilltop. Fifty pages record twenty contacts each - one thousand contacts total. Each page has columns for Date, Start & End Time, Callsign, Frequency, Mode, RST Sent, RST Received and Remarks. Plenty of blank space at the top of each page to record portable location, equipment details etc. Single sided pages so when the book is open flat, you have the whole reverse side of the previous page to make rough notes on. 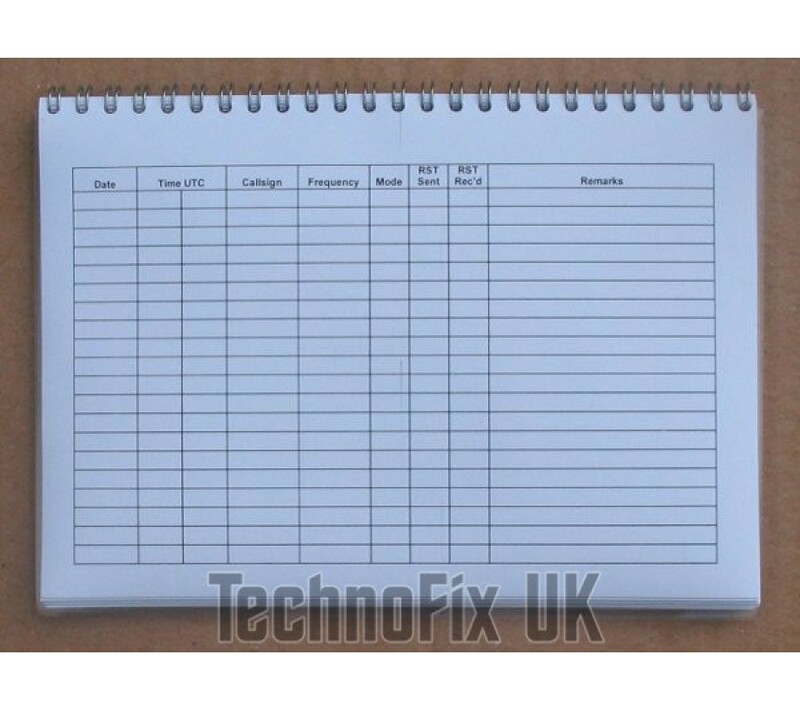 Blank facing page at the front for writing in your callsign, date log book started etc. Five blank pages at the back for more notes. Great for left-handed writers - the binding wire is across the top, not in your way on the left hand edge. Ever bought an expensive log book only to find that half the pages are adverts and info you already have elsewhere and don't need ? Not this one!